Love your website - I've just started out my own business as a sole proprietor and trying to get my books in order and so many helpful tips!! One (major) confusion I'm faced with relates to net income - I thought net income was "gross profit - total operating expenses - taxes - interest", so essentially profit after tax/the bottom line. However, the net income calculation on your statement of operations sample spreadsheet (and similarly on the T1 form - p2/3) doesn't seem to include taxes, so essentially net income becomes the same as operating income / EBIT?? Looking at the T1 form it seems to indicate that the net income can be the same as the taxable income but surely net income is post-tax deductions?? In accounting, there is an accounting concept called Business Entity Concept. You are a sole proprietorship ... not a corporation. Corporations are a separate identity from you personally. However, for legal and tax purposes, as a sole proprietor, you are your business. This means you are taxed on all your world income as reported on your T1. removed from a corporation without consequences. 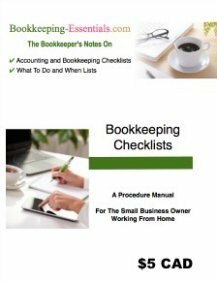 Most small businesses keep their records so that they can pay their income taxes and use the information internally to make business decisions. 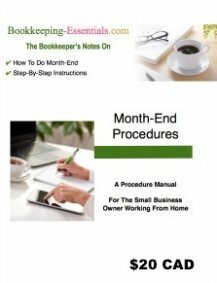 If you are a sole proprietor, you report your business activity on Schedule T2125 ... which in effect calculates your tax. Sole proprietors do not as far as I know report EBIT. However, if you have setup your chart of accounts properly, interest income and expense will be reported after operating income. Part of the confusion comes from the fact that GAAP was originally developed to give creditors and investors reliable, relevant and comparable information to they could make sound decisions based on useful information. When you are a sole proprietor with little debt and no investors, GAAP may not be relevant to you for financial reporting purposes ... except for the fact that it represents good bookkeeping practices ... and for the most part CRA requires you to follow accrual basis accounting. Income tax reporting does not follow GAAP, but many of the reporting principles are based on the same conceptual framework. That is one of the reasons beginning January 1, 2011, small businesses now have a new accounting standard ASPE. I'm not sure I have explained this very well ... but do you get the idea Euan?